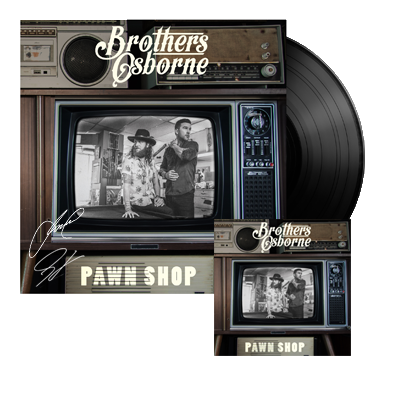 If you haven’t heard of EMI Records Nashville artists Brothers Osborne, it won’t be long until you do. With chemistry and obvious charisma, TJ fronts the group while John absolutely shreds on the guitar. These boys will certainly be ones to watch in 2016. Their debut album Pawn Shop lives up to its title in that it musically offers a little bit of everything in one place. Each of the 11 songs that the brothers co-wrote gives the listener a taste of what these two men have to offer to the country genre. The album balances blue collar hits about appreciating what you have and not taking anything for granted (“Dirt Rich” and “Pawn Shop”) with songs about kicking back and enjoying life (“Rum” and “Greener Pastures”). Pawn Shop has something for everyone. Their biggest hit to date, “Stay A Little Longer,” shines the brightest on the album and is also nominated for a Grammy for Best Country Duo or Group performance. It was ranked #3 on our Top 20 Singles of 2015. Arming themselves with heavyweight songwriters including Craig Wiseman, Barry Dean and Shane McAnally, John and TJ Osborne set out to create songs with substance – songs that make you proud to be a country fan. The siblings produced the album with Jay Joyce who has co-produced Eric Church’s recent albums, including Mr. Misunderstood. The second song on the album, “21 Summer,” was actually written four years ago with Craig Wiseman. The song reflects on suffering through a heartbreak that was worth enduring. This nostalgic lyric, although painful, is bittersweet: “How you’ve been? / I’d love to hear bout how you’ve been/ you’re the only broken heart I’ve ever had / and love to have again.” John Osborne says that the song is “all about wanting all the people that you loved in your past to actually have a great life and to have that feeling that is just letting it go.” TJ’s baritone vocals bring you right back to that summer love you left many moons ago, and can now think about with a smile. Don’t be fooled by the love songs, though! The other tracks on Pawn Shop showcase that the brothers know how to have fun and appreciate their roots. Songs like “American Crazy” and “Down Home” are perfect for riding around town with the windows down or sitting around a bonfire. “Greener Pastures” nods to getting stoned after a breakup, using wonderful word play:“I tried prayin’ to the man up high / I tried drinkin’ til the well ran dry / I’m movin’ on to greener pastures.” Accompanied by a knee slapping melody you can practically smell the smoke while you listen along. Pawn Shop sets the bar high as one of the first albums released in 2016, rich in authenticity and adding a fresh sound to the bro-country soaked genre. 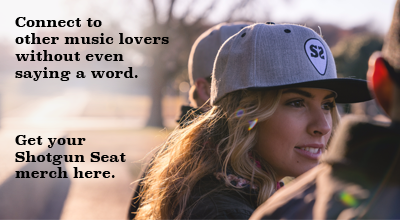 Creating their own brand of rootsy country music that will prove the test of time. “At the end of the day when people listen to Pawn Shop I hope they can have a clear understanding of who we are as people and where we come from and what our philosophies are on music and how we sound,” John Osborne says. Grab Pawn Shop on iTunes. You will not be disappointed.